How could this be? Why would the weaker kids, the kids who get less practice, rise to the top? It’s precisely this kind of question that Gladwell asks in his new book, David and Goliath: Underdogs, Misfits, and the Art of Battling Giants, which is both a sequel and rebuttal to Outliers; it proceeds from the now-familiar Gladwellian premise, that context often supersedes character, while insisting that obvious advantages — like being the strongest kid on the team — are not always obviously advantageous. Instead, he argues, apparent strengths may often be weaknesses, and weaknesses may be strengths. Gladwell opens by retelling the titular, archetypal tale. Clad in bronze and heavily armed, the towering Goliath seems a sure bet against David, who carries only a shepherd’s stick and a satchel into the Valley of Elah. Until, that is, David produces a slingshot and a small, flat stone, winds up and flings the stone at Goliath’s forehead at roughly 34 metres/second — almost equivalent to “a fair-size modern handgun.” Thanks to David’s willingness to break with the era’s ritual of “single combat” — close-range, one-on-one fighting — Goliath never stood a chance. The tale of Vivek Ranadivé, which Gladwell first recounted in the 2009 New Yorker piece that inspired the book, follows a similar arc. An Indian immigrant to California, Ranadivé knows nothing of basketball when he agrees to coach his daughter’s team, which comprises the 12- and-13-year-old “daughters of nerds and computer programmers.” Ranadivé finds it absurd that although a full-court press — in which defenders contest opponents for the court’s entire length — is permitted, it is seldom used. So, he decides his girls will press all the time, every game. The strategy is exhausting and highly effective. The girls dominate more skilled teams, ultimately advancing to the national championships. The full-court press, like the slingshot, defies the game’s unwritten rules. But underdogs implicitly understand that the rules are skewed against them. “Because [David] has nothing to lose,” Gladwell writes, “he has the freedom to thumb his nose at the rules.” Ranadivé’s strategy infuriates his opponents — but who has time for etiquette when your only hope is defy it? The book’s David stories — featuring characters that seem weak but are strong — outshine its Goliath stories, where the strong are surprisingly weak. Instead of focusing on people, Gladwell’s Goliaths are mostly institutions, and his arguments — Ivy League schools are desirable only for the top two-thirds of students; draconian law enforcement actually increases crime — are more abstract. David and Goliath may lack the vocabulary-changing, world view-flipping oomph of Gladwell’s previous books. It may lack an “iron rule” — an idea so influential, I remember friends timing their pregnancy accordingly. (Of course, we now know this was a mistake; turns out late birthdays may be “desirable difficulties” for hockey players.) Then again, maybe something will stick. Who knows? 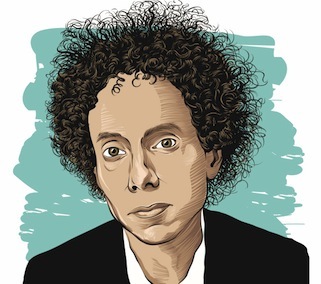 In a sense, this uncertainty is the core of Gladwell’s work: He’s not a self-help author, nor a clairvoyant. He’s a journalist, presenting counterintuitive, empirically grounded ideas through masterfully told stories, aspiring to shed light on the ultimately unanswerable question: Why is the world not always as it seems? Read the story at NationalPost.com.